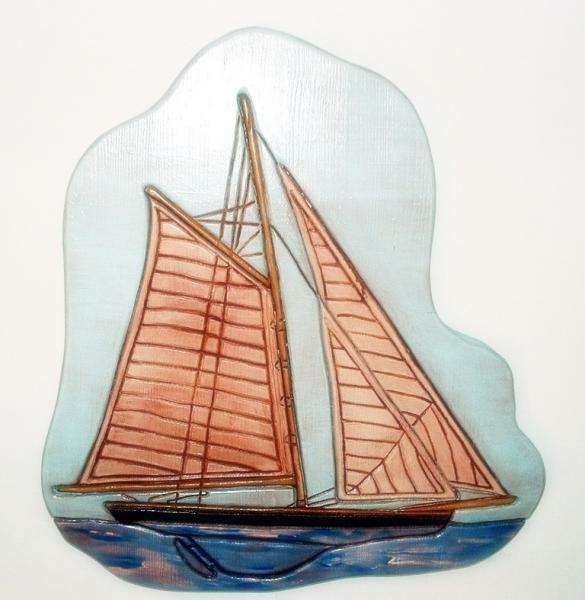 Schooner, wall hanging, Would look great with a beach decor. This item is 15" W x 16.5" H and is 11 pieces. We mention the number of pieces that make up the finished product, so everyone can see how much work goes into each creation. All of the pieces are glued together making the beautiful finish product that you are looking at.